A new collection of many of your most requested favorites including Apples in the Basket and Hills of Isle Au Haut. "Here is a trawl through some of the songs that have engaged my life these last few years. You'll notice a lot of textures here: these songs bring us some interesting lives and beliefs and perspectives, and I am grateful that they've come to inform my own." 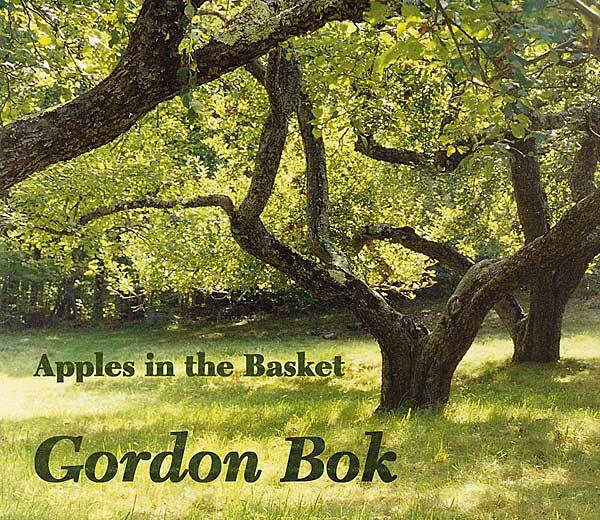 "The album is yet another in Gordon Bok�s long series of masterful recordings of traditional and folk songs and tunes and modern songs, almost all of which seem like they are traditional. I could easily go on about every song on this album, about how Bok�s baritone voice wraps itself beautifully around the lyrics and about how perfect his guitar arrangements are." "Is each new Bok recording superior to earlier ones? Probably not, but they're certainly fresh, exciting, and totally absorbing." This album is now out of print and is only available in digital format.